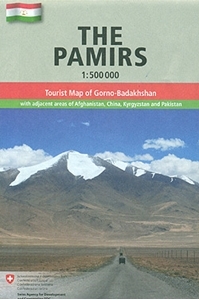 Pamir Mountains at 1:500,000 in a series of maps of Tajikistan and the adjoining areas of the neighbouring countries, providing coverage from Samarkand to Kashgar. The maps have been produced under the auspices of the Swiss Agency for Development and Cooperation and each title includes information on the area’s culture, economy, history, etc. IN THIS TITLE: latitude grid lines at 20’ intervals, with longitude at 30’. 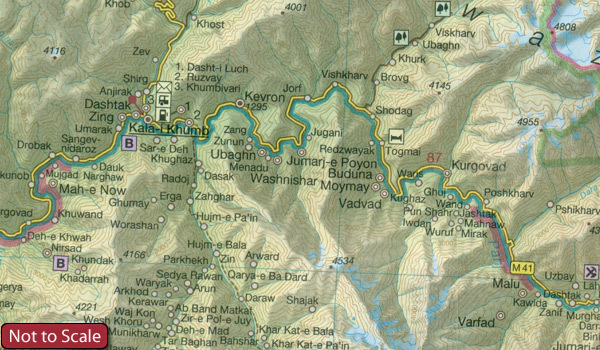 On the reverse the extensive text about this area is supplemented street plans of Khorog and Murghab indicating various places of interest and facilities, plus an enlargement showing in greater detail at 1:110,000 the Savnob – Usoi Dam area west of Lake Sarez. 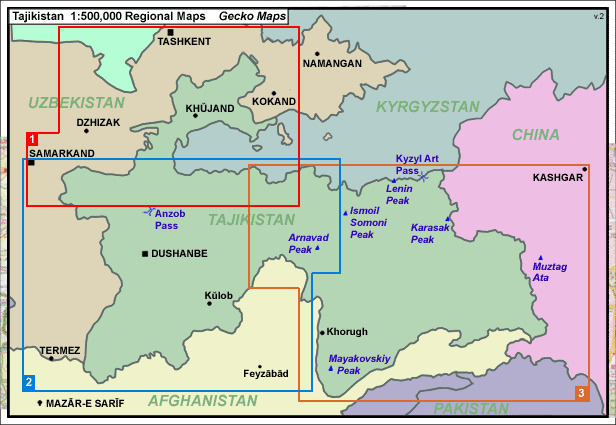 Current edition of this map was revised in 2011.